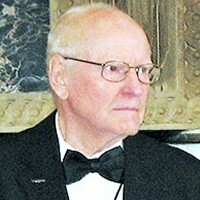 Quam, Ellsworth R. "Bud" Age 96 of Lilydale. Passed away July 29, 2018. Preceded in death by his wife, Rose. Will be deeply missed by children, Beverly (Jerry) Sherwood of St. Paul, Alan (Sharon) Quam of Alexandria, Lori Belair of Minneapolis; 10 grandchildren and 21 great grandchildren. Born in Willmar, Bud joined the navy at 18. He was assigned to the USS Yorktown and survived the Battle of Midway, then served on the USS California, USS Pilotfish and USS Segundo. Bud had a long career as a chemical engineer at Sperry-Univac. Funeral service on August 7 at 11:30 at Fort Snelling National Cemetery.